We appreciate your interest in our inventory, and apologize we do not have model details displaying on the website at this time. Please fill the form out below and our team will quickly respond, or, please call us at 805-496-7103 for more information. For some customers, purchasing a used car puts car ownership more easily in their reach, whereas for others, buying a used car is a way to get a luxury car without such a luxurious price. 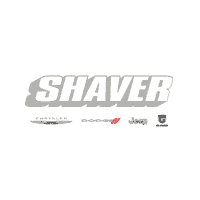 Shaver CDJR pre-owned inventory runs the gamut from minimal and affordable to high-end luxury and everything in between. Certified Pre-Owned vehicles are a great way to enjoy the excitement of a new car with guaranteed reliability at a lower cost. One of the great advantages of purchasing a CPO vehicle is that they come with a factory warranty that is often applicable in addition to the existing/remaining warranty terms. Once you’ve purchased your Certified Pre-Owned car from Shaver CDJR of Thousand Oaks, you’ll need to maintain it, and we have the service and parts department to make sure your car will run perfectly for the life of the vehicle. Our service department is staffed by factory-trained technicians who have the tools and expertise to diagnose and repair any problem you might encounter with your vehicle. Should you need more than an oil change or tire rotation, our parts department will get the required OEM parts to maintain your vehicle’s warranty, and expertly complete the repairs.